Chinese historical records reach back into the realm of legend, 5,000 years ago. It is impossible to cover even the major events of this ancient culture in a short space, but here are some highlights. The first non-mythical dynasty to rule China was the Xia (2200- 1700 B.C. ), founded by Emperor Yu. It was succeeded by the Shang Dynasty (1600-1046 B.C. ), and then the Zhou Dynasty (1122-256 B.C.). Historical records are scanty for these ancient dynastic times. In 221 B.C., Qin Shi Huang assumed the throne, conquered neighboring city-states, and unified China. He founded the Qin Dynasty, which lasted only until 206 B.C. Today, he is best-known for his tomb complex in Xian, which houses the incredible Army of Terracotta Warriors. Qin Shi Huang's inept heir was overthrown by the army of commoner Liu Bang in 207 B.C. Liu then founded the Han Dynasty, which lasted until 220 A.D. In the Han era, China expanded west as far as India, opening trade along what would later become the Silk Road. When the Han Empire collapsed in 220 A.D., China was thrown into a period of anarchy and turmoil. For the next four centuries, dozens of kingdoms and fiefdoms competed for power. This era is called the "Three Kingdoms," after the three most powerful of the rival realms (Wei, Shu, and Wu), but that is a gross simplification. By 589 A.D., the Western branch of the Wei kings had accumulated enough wealth and power to defeat their rivals, and unite China once more. The Sui Dynasty was founded by Wei general Yang Jian, and ruled until 618 A.D. It built the legal, governmental, and societal framework for the powerful Tang Empire to follow. In 1271, the Mongolian Kublai Khan (grandson of Genghis) established the Yuan Dynasty (1271-1368). The Mongols subjugated other ethnic groups including Han Chinese, and were overthrown by the Han Ming. China flowered again under the Ming (1368-1644), creating great art and exploring as far as Africa. The establishment of the Xia Dynasty (21st - 17th century BC) is an important milestone in the history of Chinese civilization and marks the end of the Primitive Society and the beginning of the Class Society. 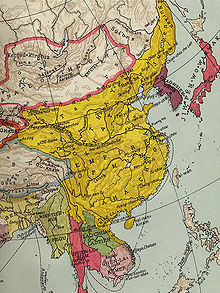 It is the first dynasty in Chinese history, and lasted nearly 500 years including the reigns of 17 emperors. It is thought that most of the people during the Xia Dynasty period probably inhabited the western area of Henan Province and southern Shanxi Province. It is Yu the Great who first set up the Xia Dynasty under the Abdication System (choosing the leader according to their ability). After he died, his son Qi broke up this system and made himself the Xia emperor. From that time onwards, the Abdication System gave way to the Hereditary System. Following the system of hereditary, 15 offspring of Qi succeeded him after his death. Among them, emperors like Shaokang, and Huai made great contributions to the development of Chinese society. However, there were also many tyrannical emperors during this period such as Taikang, Kongjia, and Jie. During the Xia Dynasty, many achievements were made. People lived mainly through agriculture using tools made of stone or bone. The Jade ware at that time was quite delicate and bronze vessels were well smelted. Craftwork made of bronze embedded with jade also appeared. Commodity exchanges developed. A calendar system was devised which used both lunar and solar movements. The Xia Dynasty ended under the reign of Jie, a very notorious tyrannical emperor in Chinese history. After he succeeded to the throne, he lived an extravagant life day and night without any thought for his country or its people. In addition, he killed the patriotic ministers who presented him with good advice. All of his actions enraged the people so much that at last they rose up under the leadership of Tang (the chief of the Shang tribe and latter set up Shang Dynasty (17th - 11th century BC) and overthrew the Xia Dynasty.